How to Say "Good-bye Snow!" The calendar told us that winter was over back on March 21st but Mother Nature hadn’t given in until April was well underway. At this point, only the northern most areas should have any concerns with accumulating snow and the better part of the nation is well into landscape clean ups and mulching. All that’s left to calling it a wrap are the end of season close outs. 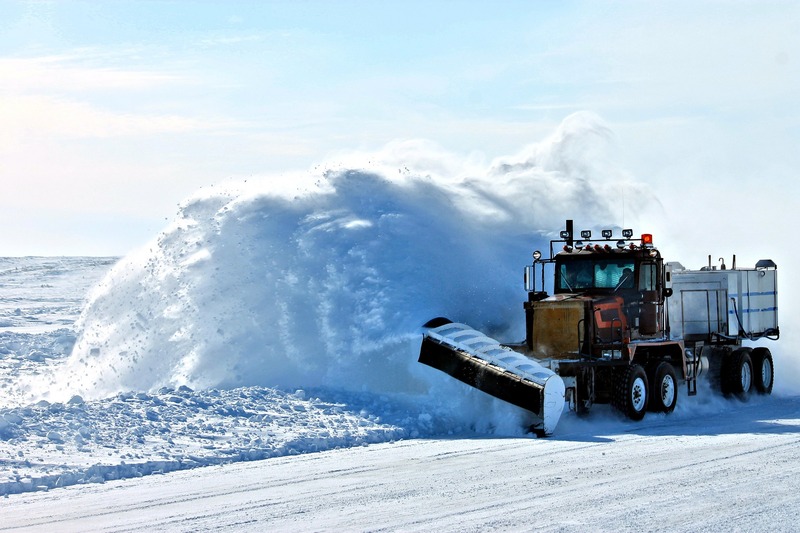 While much of the effort towards snow and ice management is focused on the startup and execution of the services, closing out the year is just as essential to continued success and developing improved processes for the next winter. It’s just a reality of delivering snow removal that parking bumpers get dislodged, curbs get broken, and plants compromised. Yep, things tend to get damaged on site. Conducting a site walk to review site conditions, identify any damages and to build a repair strategy is always a good idea. As much as you wanted to see snow stakes installed and equipment dropped on site back in November, you want them gone now. Typically, having these items offsite by the end of April should be a reasonable expectation. Funny thing about plowing snow, you not only pile the snow, but you capture all the trash and debris that was on the ground before the snow fell. So, when snow piles melt all the debris that was collected is left behind. For sites with environmental concerns where sand is often an alternative to salt or other deicers, a brush sweep of parking lots is often needed to remove excess sand. Every season brings its own challenges and learning experiences. To better be prepared for the next winter, schedule a post season meeting to review scopes of work, level set expectations and discuss the wins and opportunities in service delivery so that you can build on the lessons learned to have an even better season next year. While we are enjoying the longer days and warmer weather, don’t lose sight of ending the winter strong and using it to start preparing for next year.